Apple cider vinegar (or ACV for short) has been around for a long time, so chances are you’ve seen it at the store, but maybe you’ve never really tried it. 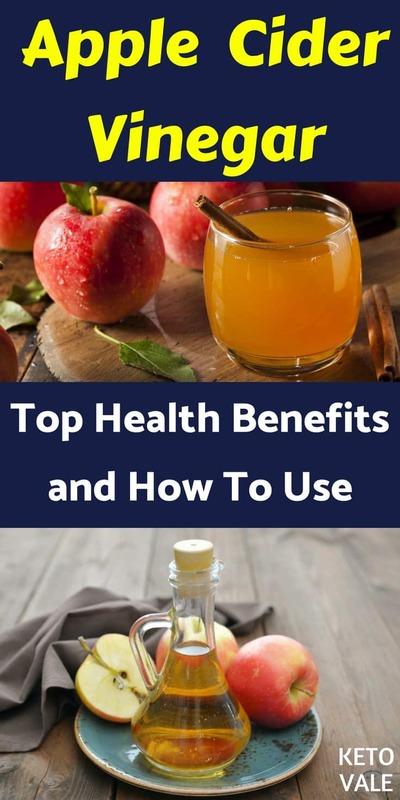 While some of the research is still mixed on all of its health benefits, apple cider vinegar is one of the best natural treatments for many different ailments. It contains natural enzymes for digestion, antibacterial properties for skin care, and blood sugar-regulating abilities for diabetes control. Not to mention, apple cider vinegar is made from apples (duh, right? ), so it has a sweet flavor that’s great on salads in place of sugar-laden dressings. 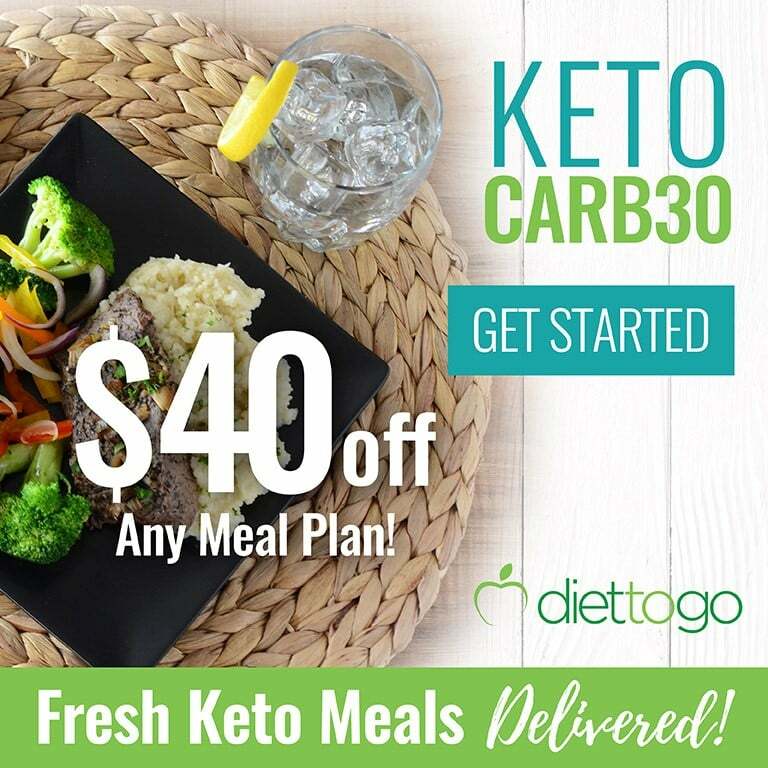 It’s a perfect addition to your keto diet without adding unwanted carbs to your foods. Here is everything you need to know about apple cider vinegar and how to use it. As we mentioned above, apple cider vinegar is made from apples. The process is pretty similar to that of other vinegar. It’s made by pressing the apples and getting all the juice out. Then, the juice is fermented by adding yeast and bacteria to it. This is what gives the vinegar so many of its health benefits. During this process, the sugars from the apple are converted into alcohol. But don’t worry- you can’t get buzzed off this stuff. The juice is then put through a second fermentation process where the addition of certain bacteria turns the alcohol into vinegar. This forms two acids known as acetic acid and malic acid, which is what gives the vinegar its sour taste. After these two fermentation processes, viola! You have apple cider vinegar. If you buy cheaper brands of ACV, there are usually more processing steps involved that kill off the good bacteria and enzymes found in the “mother” of the vinegar. So always be sure to buy raw, organic and unfiltered apple cider vinegar to make sure you’re getting the most out of your money. When ACV first became popular as a health food, many of its benefits weren’t scientifically proven. But since it has become a health food superstar in recent years, more and more studies have come out to confirm its results. The following is a list of benefits of apple cider that are evidence-based. One of the best benefits of ACV is that it can help you control your blood sugar levels. This shouldn’t be a problem if you are following the ketogenic diet as your levels should be pretty stable due to the lack of carbs, but it doesn’t hurt to add ACV to your keto diet to further control your blood sugar levels, especially if you are just starting out. Research shows that consuming ACV before eating a meal that contains carbohydrates reduces blood sugar levels by up to 30 percent (1, 2). Among people who have insulin sensitivity, such as diabetes, ACV has been shown to help control blood sugar levels after eating a high carbohydrate meal (3). 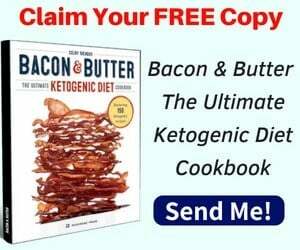 Of course, if you switch to the ketogenic diet, you won’t have to worry about eating meals that contain carbohydrates. This is another reason to make the switch! Weight loss is one thing you might not need help with on the ketogenic diet as its one of the best diets in the world for that, but adding ACV to your diet can help maximize your results. To date, one study has found that ACV helps with weight loss (4). Research shows that ACV can help reduce blood triglyceride levels, which helps keep your heart healthy (5). One study found that women who used a vinegar-based salad dressing had a reduced risk of death from cardiovascular disease (6). Animal studies have shown that ACV helps reduce oxidative stress, improve blood lipids, and reduce blood pressure – all of which are risk factors for heart disease (7, 8, 9). Thanks to its natural antibacterial properties, you can use ACV to fight germs that cause infections, such as the common cold or a sore throat (10). According to one study, high doses of ACV administered to shrimp enhanced the expression of immune-related genes (11). To date, there has only been one study done to prove that ACV can help with allergies in humans. The study took seven people with food allergies to chicken, lentils and eggs and put them through a skin prick test either with or without vinegar. Results showed that subjects who were pricked with a vinegar based test experienced a reduced reaction to their food allergy (12). Inflammation is often cited as the primary cause behind most diseases. One animal study found that large doses of ACV reduced inflammation, attenuated body weight loss and improved gut bacteria populations in animals with colitis (13). One study has been done to show that ACV improves fertility. The study used seven women with polycystic ovary syndrome who did not have a regular menstrual cycle and gave them 15 mg of vinegar a day for 90-110 days. Results showed four out of the seven women returned to a regular menstrual cycle, which increases a woman’s fertility. Researchers believed this was due to the vinegar’s effect on normalizing their insulin resistance that is commonly associated with polycystic ovary syndrome (14). Protection against cancer is a big claim to make, but ACV has a few studies to show its validity. 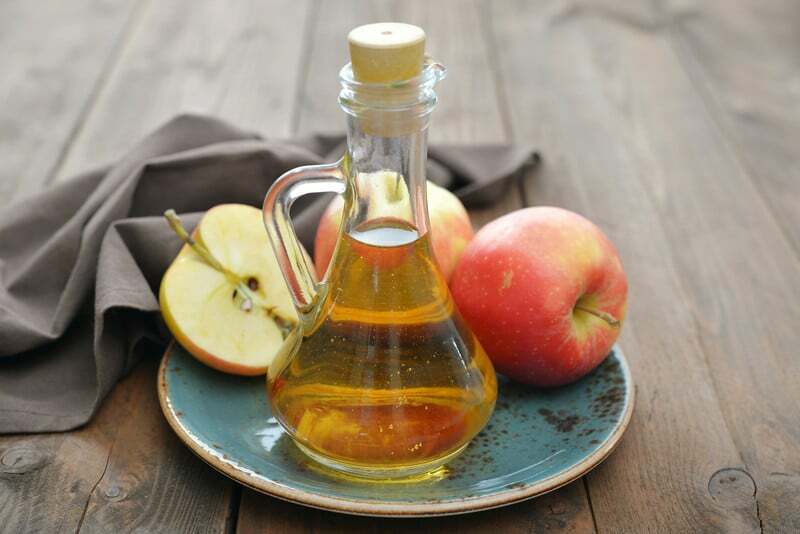 Several studies have shown that some types of vinegar can prevent cancer cells from forming or kill them all together through a process known as glycolysis. This is how cancer cells get their energy. It should be noted that these studies were done on test tubes only and more research is needed (15, 16, 17, 18, 19, 20). Ready to start adding apple cider vinegar to your diet and health care regime? Great! We’ve got some tips to help you get started. Here are the best uses of ACV. Because it contains naturally occurring enzymes, ACV has a probiotic-like effect on the gut, which means that it promotes the growth of good bacteria. This can help you stay regular, reduce intestinal gas and bloating, and help break down your food better. Try mixing a spoonful of raw, organic and unfiltered ACV into a glass of water and drinking about 30 minutes before meals. If you can’t handle liquid ACV, try ACV pills. Check these best apple cider vinegar pills. ACV has been shown to reduce weight loss in several ways. 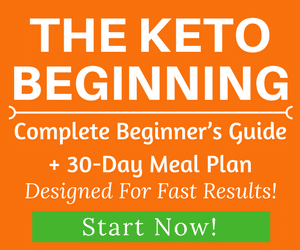 First, it helps reduce sugar cravings and improves the detoxification process, which are both important things if you are on the ketogenic diet. ACV also helps keep you full, so you can drink it before meals, and you won’t need to eat as many calories. 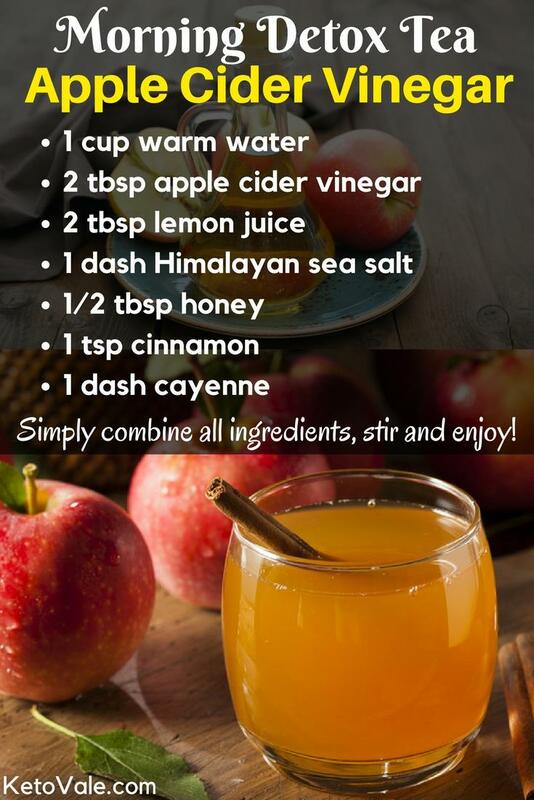 Try replacing your morning cup of joe with this apple cider tea recipe to boost your metabolism and maximize your weight loss. Instruction: Simply combine all ingredients, stir and enjoy! 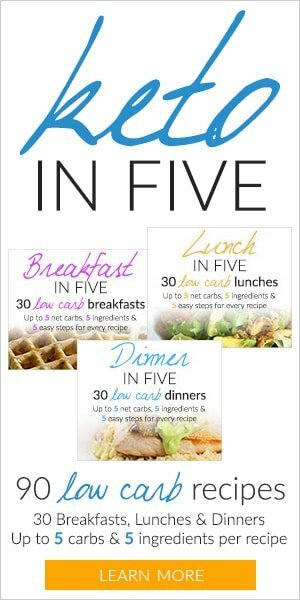 This recipe will make 1 serving which has 45 calories, 12.6 g total carbs (which has 1.4 g fiber and 9.4 g sugar), and 0.3 g protein. Most of the calories and carbs in this recipe come from honey. 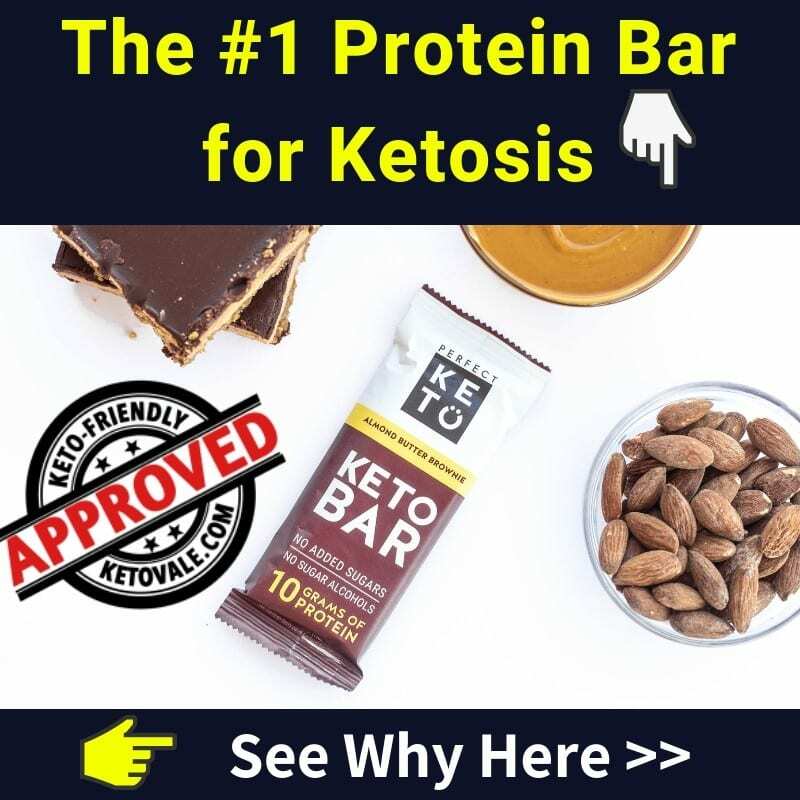 If you are afraid that it will interfere with your daily Keto macros, just don’t add honey to this drink. It will still taste good. Got kids? How about pets? Then you need an all-natural household cleaner that doesn’t contain harmful chemicals. ACV contains natural anti-bacterial properties, so it’s perfect to clean your house with. Fill a water spray bottle with half water and half ACV. Spray on your surfaces and wipe clean. Here’s a fun bonus tip: use your ACV to clean dentures or polish your favorite metals. Those babies will shine right up! If you know you’re going to eat a meal that’s higher in carbs, then it’s a good idea to prepare your blood sugar levels by taking some ACV beforehand. It’s the acetic acid found in ACV that helps reduce your blood sugar. Take some a half hour before meals or use ACV on your salads as a dressing to help keep your glucose levels stable. 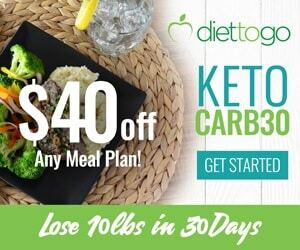 Better yet, follow the ketogenic diet and you won’t need to worry about high carb meals or the sugar crash that follows them! You can use ACV as a natural way to keep your pets clean and repel fleas, thanks to its antibacterial properties. Fill a tub or bucket with warm water and add a few tablespoons of ACV. Let them soak for a few minutes. Just make sure to keep it away from their eyes or ears as the vinegar might burn these sensitive areas. If that doesn’t work or your pet won’t hold still, try a spray bottle that contains ACV. Just make sure to wash it off to prevent skin irritations. ACV appears to reduce the symptoms of allergy attacks, so you can take some when pollen levels are high or when allergy season strikes. Mix two tablespoons of ACV with warm water and drink twice a day. Instead of using harsh chemical soaps, try using ACV on problem areas, such as acne, fungal infections and more. The antibacterial properties in the vinegar will help clear up any blemishes or infections you have. Apply some vinegar to a cotton ball and dab on problem areas. You can let it sit overnight or wash it off immediately. Repeat several times a day until the problem goes away. You can also use ACV as a natural deodorant to keep your underarms dry and free from odor or dab it on your face as a skin toner. Got a fruit fly problem in your house? No worries! Set out a fly trap by adding ACV to a cup and placing saran wrap over it. Poke a small hole on top and watch those little buggers fly right in. Thanks to the fermentation process that the vinegar goes through, you can use ACV to preserve your favorite foods naturally. Granted, it might change the taste a bit, but you’ll have to experiment with which foods are OK to use it on and which are not. Pickled vegetables are best. This is one of the best ways to use ACV. Because it contains antibacterial properties, ACV can help kill the germs that cause infections, such as a sore throat. You can gargle with ACV or add it to warm water and drink it until your symptoms go away. You can also use ACV to clear your sinuses by inhaling it or drinking it several times a day so the vinegar can kill the germs from the inside out. Did you know that adding vinegar to your water when you poach or boil eggs will make them come out perfectly? Mind blown, right? This is because the acidity of the vinegar helps the protein in the eggs firm up, which helps deliver the perfect egg every time. Give it a try the next time you make your eggs, which we highly suggest eating as part of your ketogenic diet. Stop spending so much time pulling weeds in your garden or sidewalk cracks. Spray some ACV on those babies and watch them disappear, no bending or pulling involved. Take a water bottle and add ACV to it. Spray the mixture on the weeds without diluting it and repeat daily if needed. Apple cider is made from apples, right? So why not use it to flavor your foods minus all the sugar? Add a bit to cake mixtures or other baked goods in place of sugar. Need a quick pick-me-up but don’t need another cup of coffee to give you the jitters? Try ACV. With its high potassium and enzyme profile, it’s sure to give you the jolt you need to make it through the rest of your workday as productive as can be. Additionally, quality ACV contains amino acids, which can help prevent lactic acid from building up in your body to help you recover quicker after exercise sessions. ACV is great for killing germs and improving your skin health. Got dandruff? Try using apple cider vinegar as a hair rinse to help improve the pH of your scalp and get rid of those flakes. It can also help give you shinier hair. Apply some to your hair after washing it and let it sit for a good 20 minutes before rinsing again.